While smartphones are ubiquitous and their apps are de rigueur for daily living, developers only recently embraced them. Rose first tested its app last year. 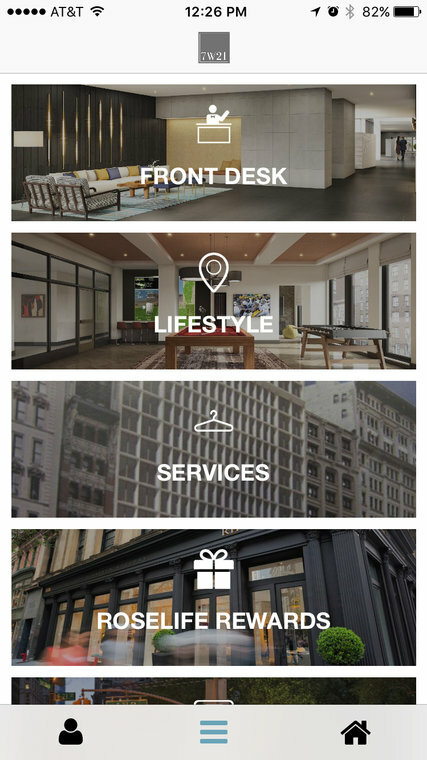 Like versions being rolled out by Brookfield Properties, Extell Development and JDS Development, the Rose app offers easier access to the amenities that entice renters to pay more than $4,000 a month for a studio. The typical app allows the resident, with an easy swipe and tap, to complete tasks like paying the rent, booking fitness classes, arranging dry cleaning, reserving common areas for parties, receiving package notifications or telling the resident manager that you need your stove fixed. The Rose app offers discounts for neighborhood businesses looking to promote themselves. “Some of it is as basic as: ‘How do I reserve things? I want to have friends over for a barbecue on Saturday night. How do I know I can reserve the barbecue?’” said J. Brian Peters, Rose’s chief operating officer. At 555 10th Avenue, a new Hudson Yards development, a residential app is a “very important aspect” of the building, said Laura Kirschbaum, the vice president for development at Extell. Residential apps are flourishing as the luxury market, particularly in Manhattan, cools off. With prices plateauing and demand slackening, developers and building managers are turning to new toys to lure prospective tenants. Suddenly, steep prices need to justify themselves, and a rooftop garden is not enough. App developers see an opportunity. Francesca Loftus is a creator of hOM, an app used by a number of developers, including Rose, AvalonBay, Brookfield and Kushner Real Estate. HOM functions somewhat like GoFundMe, allowing residents to propose and rank programming in their buildings. Residents chip in money through their phones and staff members from hOM run events. The app can connect to the calendar in a user’s smartphone to determine the best time for that building-wide Pilates class penciled in for next Thursday. For the residents who are living the app life, there is no going back.